Lotte Group is bearing the brunt of suspected Chinese wrath at Korea's decision to let the U.S. station a Terminal High-Altitude Area Defense battery here. 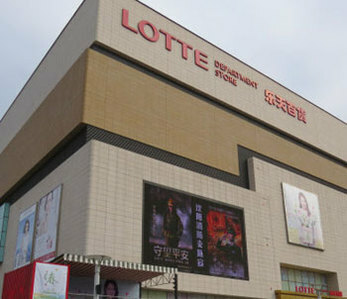 Some 23 Lotte Mart supermarkets in China have now been ordered to close after surprise health-and-safety inspections. 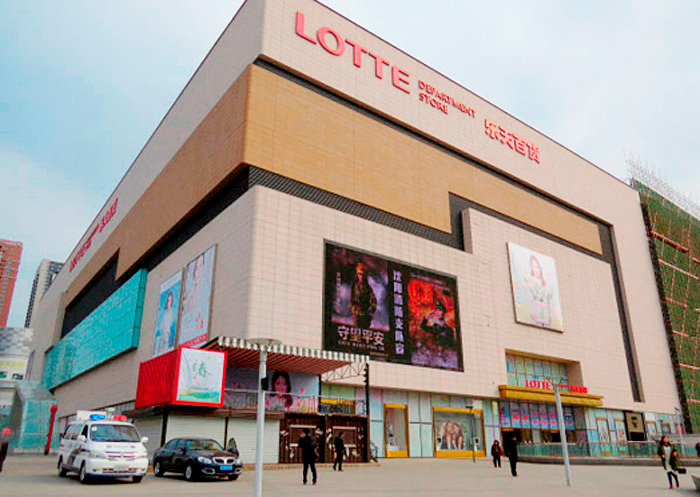 Chinese authorities on Saturday ordered another four Lotte Mart stores in Liaoning Province to close citing fire hazards, while another 19 were ordered to shut down on Sunday and Monday. Lotte has 99 supermarkets in China. Lotte became a target of Beijing's ire because it agreed to hand over a golf course in southern Korea as the location for the THAAD battery, whose powerful radar China suspects will be used to spy on its military activities. A Lotte staffer in China said firefighting authorities conducted a surprise inspection and ordered the immediate closure of the stores. Customers were asked to leave on the spot. In Jiangsu Province in eastern China, 15 stores were closed down, and in neighboring Zhejiang Province three. The staffer said, "Boxes that sat placed in front of emergency exits were cited as violations, or inspectors made repeated visits until they found some violation. No store could possibly emerge unscathed if they're treated that way." The stores have to stay closed for a month. "We may face more inspections even after we reopen for business, or our Chinese suppliers may refuse to deliver goods," the staffer added. Meanwhile several state-run Chinese travel agencies are apparently getting in on the act. Ctrip, China's largest online booking site, deleted Lotte Hotel from its listings. A Lotte spokesman said, "Travelers can book rooms through our website, and we are fielding phone calls from Chinese customers wondering what happened to our hotel."